A Hot Cup of Joey: Is Peyton Manning About To Retire? Is Peyton Manning About To Retire? Peyton Manning, 39, is already the oldest quarterback to ever play in a Super Bowl. And with #50 on the horizon, Manning may be thinking of calling it quits. One of the many microphones that is way too close to the players and coaches after the Broncos/Patriots game on Sunday picked up a conversation between Manning and Patriots head coach Bill Belichick. 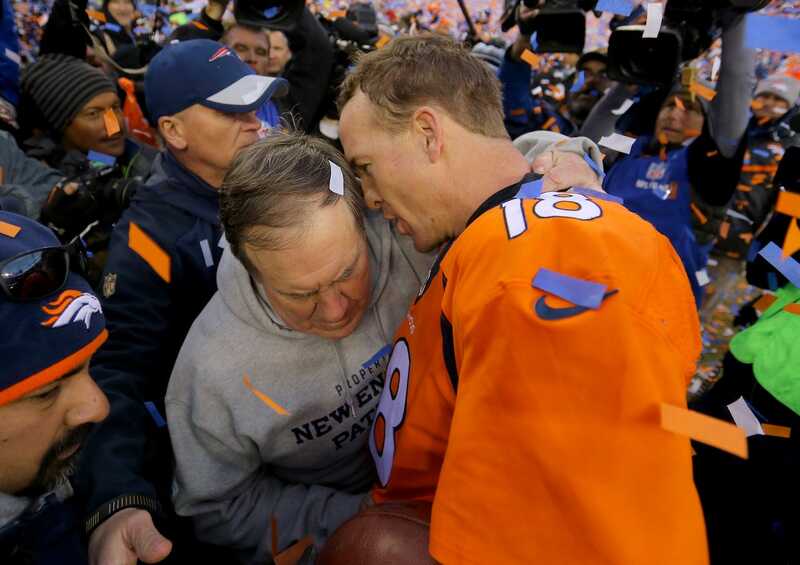 Manning told Belichick "this might be my last rodeo" and that "it sure has been a pleasure." Belichick responded by calling Manning a "great competitor." If this really is Manning's swan song, it's been one heck of a career. We'll see if he can pull off another Super Bowl victory against the favored Carolina Panthers. Then the ol' rodeo will truly be ready to leave town.